This past week I was able to spend several days at the Idaho State University Anthropology Department’s archeology field school over in west-central Idaho. Archeology site director, Dr. Andy Speer and his students were very accommodating in letting me poke around shooting stills and videos, along with capturing sound bites. Hopefully a nice documentary will come out of all this and will help future summer archeology field schools. The field school/archeology dig site was in the Sweet Ola Valley on a private 1700 acre ranch located in the Boise National Forest. What an incredible view! The area is rich in history and more documentaries are there if I just had the time to keep digging! 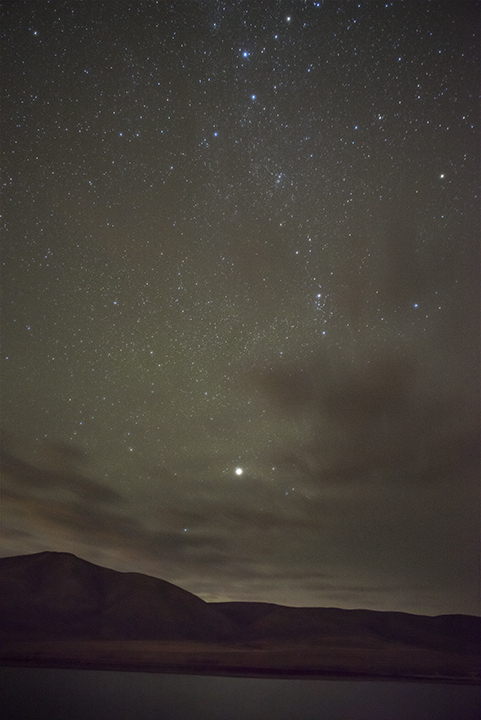 The first night there, I couldn’t work on my astro-landscape work due to thunderstorms that kept rolling up the valley. Night two was crystal clear but I was too exhausted to stay up! The following night started off favorable, but then clouds kept scudding right though my field of view, but I at least captured one interesting image. Here’s a few still photos from the documentary project. Enjoy! Dr. Andy Speer (L) examines artifacts extracted from pit by Miranda (R). Dr. Andy Speer directs Daniel to prep artifact of photo documentation while Mark (r) observes process. The first night of December, I went up to Crystal Summit with my long-time friend and colleague, Wilson Hurst, to engage in some astro-landscape photography. Clear skies brought a considerable drop in temperature….5oF (-15oC)….the micro-brewskies stayed nicely chilled! After three hours (which seemed like all night! ), we packed up our gear since everything was beginning to ice over. Here’s a few shots from our adventures in the Rocky Mountain deep-freeze! Arbon stars near Crystal Summit. After days and nights of freezing fog and clouds, I finally caught a break for some astro-landscape photography. Once the sun fell behind the horizon, the Milky Way was incredible. Unfortunately, it was directly overhead and I was aiming to the south in order to capture the sun setting in Arbon Valley. In the distance there’s Bradley Mountain to the left and the Deep Creek Mountain range falling in the background. 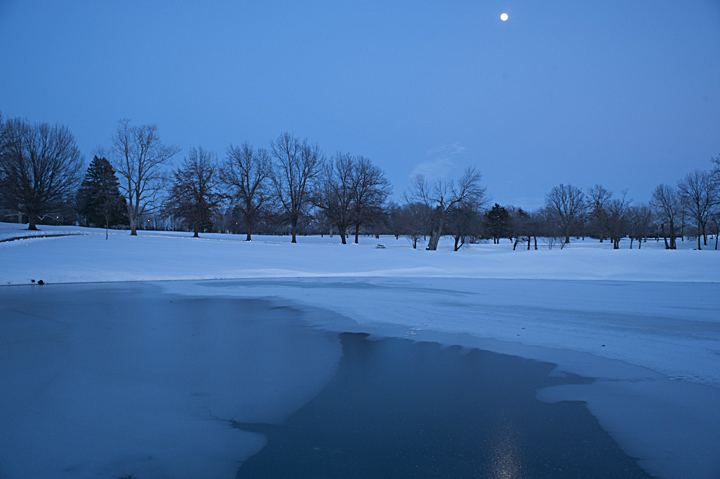 Photographing at 6,000-feet (1,829 meters) on a clear January night gets cold….8oF (-13C)!!! But, it was a pleasant evening listening to hoot owls and coyotes. In addition to watching airplanes cross the sky, there were satellites and meteorites as well. It’s interesting the different colors appearing from various light sources that our eyes simply do not detect at night (our rods and cones lose their color vision in low light levels). I had to finally give up after four hours, as my equipment, including my 14mm super wide angle lens, was completely covered in frost and ice! Just a quick post on astro-landscape photography of the Milky Way shot tonight on Christmas Eve. I found this beautiful spot just as I entered Arbon Valley, which is just over the mountain and through the woods from my house. For this shot I was facing east-southeast, towards Old Tom Mountain and that’s the highest snow covered peak in the first photo. I started shooting around 4:45pm just as the sun was setting and continued until 7pm. It wasn’t too bad until about 6:30pm when the temps dropped to 10 degrees F (-12C). The second shot was repositioned to include Scout Mountain, which is north of Old Tom. Something new was encountered on this photo excursion, the sound of energy! I was setup under a telephone pole. Unfortunately, some of the wires are in the shot. Anyway, all was quiet sitting there in the dark along side the snow-covered road when all of a sudden I heard this deep throbbing sound. It kept getting louder and for awhile I was looking for a plane over head, but nothing showed up. Finally the sound was pronounced and sounded like it was right on top of me, which it actually was. I walked over to the utility pole and it was vibrating with the pulsing of the energy overhead through the wires. Eventually it died down, only to return later during the photo shoot. Shortly after the sound of electricity, coyotes started their singing in the valley below. Very strange and interesting encounter! Christmas Eve in Arbon Valley. © Terry Ownby. Nikon D800, Rokinon 14mm/f2.8. Setting up for a cold evening of astro-landscape photography. © Terry Ownby. This first weekend of November, I ventured back up to the lake near the Chesterfield ghost town for some astrophotography. A storm front was beginning to move in from Seattle, so it was very windy and exceptionally cold. My sweetheart decided to join me on this outing and this was her first exposure to hours of patiently waiting for the stars to come out and images to be captured. What an initiation she endured! In addition to shooting star trails (in the tradition of my friend and mentor, Wilson Hurst), I also tried photographing the Milky Way. 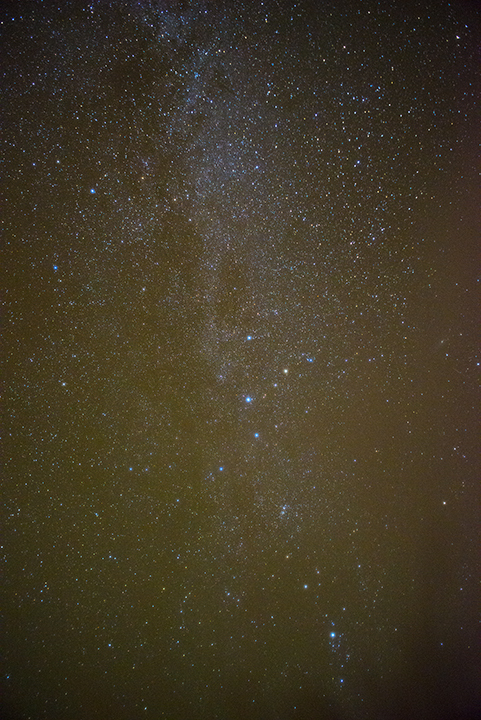 Visibility of the stars to the east side of the lake and straight overhead was remarkably good. Unfortunately, I had not anticipated the glow of city lights to my north, which clearly is visible in my star trail shot. The light pollution came from Idaho Falls, which is about 65 miles (105 km) away. Looking north at Chesterfield Reservoir. © 2013 Terry Ownby. Nikon D800, 28mm @ f3.5, Bulb, ISO 100~400. Looking East at Chesterfield Reservoir, Idaho, with storm front moving in from Seattle. © 2013 Terry Ownby. Nikon D800, 28mm @ f3.5, 30s, ISO 6400. A toast to my friend, colleague, and mentor, Wilson Hurst. We discovered Big Sky Brewing while photographing stars in the Tall Grass Prairie in Kansas. Here’s a toast to you, Wilson! © 2013 Terry Ownby. Nikon D70, 18-70mm. Looking north at Chesterfield Reservoir. © 2013 Terry Ownby. Nikon D800, 28mm @ f3.5, Bulb, ISO 100~400. Looking East at Chesterfield Reservoir, Idaho, with storm front moving in from Seattle. © 2013 Terry Ownby. Nikon D800, 28mm @ f3.5, 30s, ISO 6400. Milky Way directly overhead. © 2013 Terry Ownby. A toast to my friend, colleague, and mentor, Wilson Hurst. 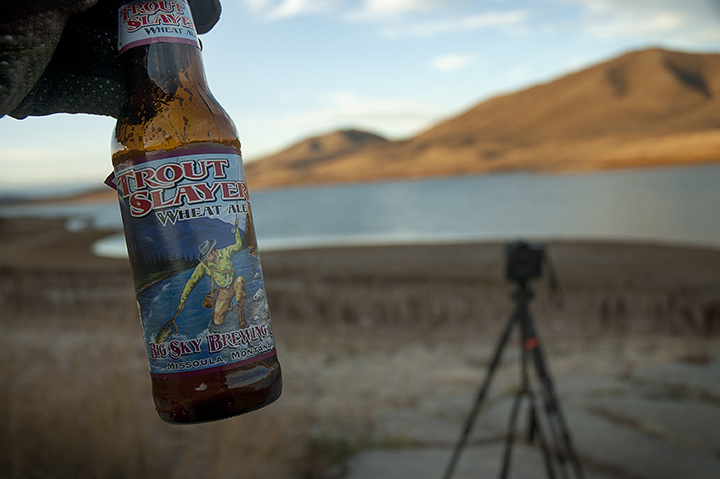 We discovered Big Sky Brewing while photographing stars in the Tall Grass Prairie in Kansas. Here’s to you, Wilson! © 2013 Terry Ownby. Captured with Nikon D700, continuous frame at 5fps, shutter speed 1/8000s. © 2013 Terry Ownby. Above is an example from a recent photo shoot where I stopped time in fractional slices. I was using a Nikon D700 set to the Continuous High mode, which fires off 5 frames per second with a normal battery. This illustration uses a total of six images captured during one shooting burst. 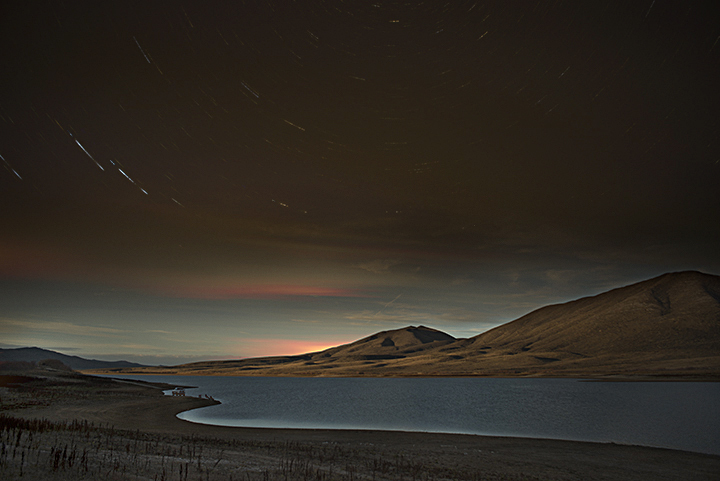 On the other hand, the illustration below of star trails uses 22 separate photographs using an external intervalometer by Aputure. 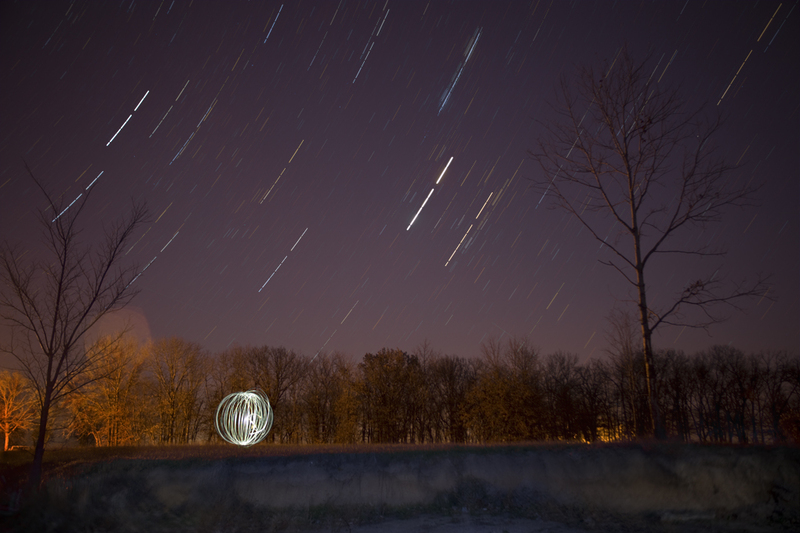 These were five minute exposures with 1/10second interval between shots. 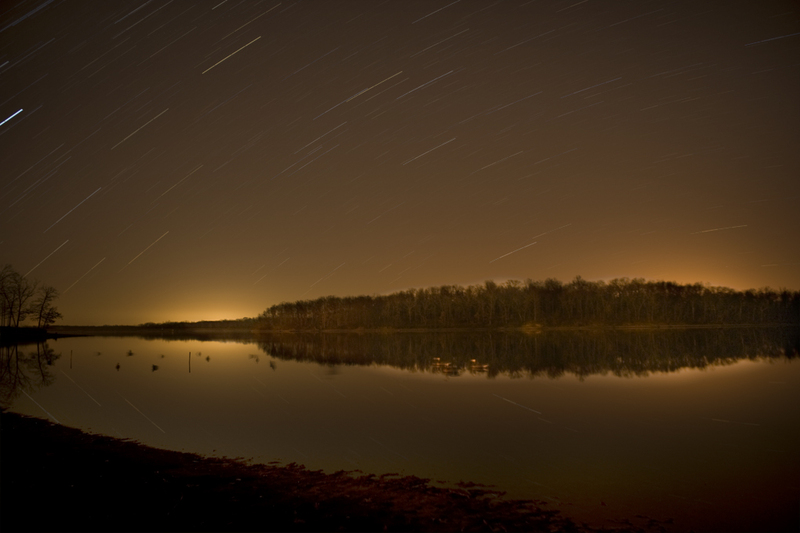 Star Trails at Kearn Wildlife Area, near Whiteman AFB. © 2013 Terry Ownby. 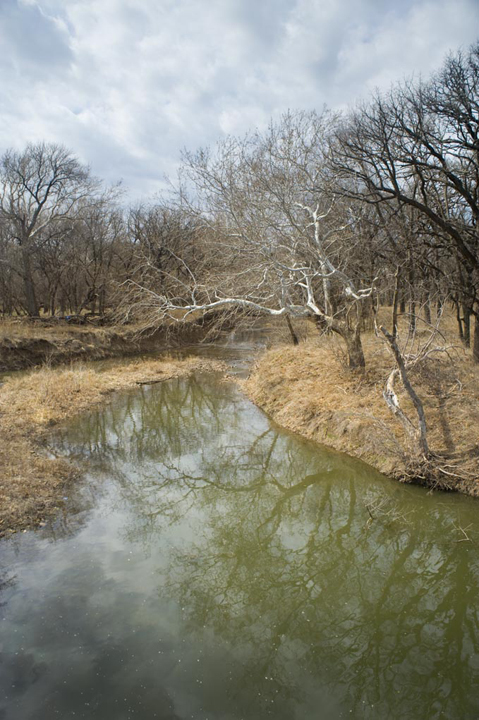 Last week was our spring break, so a much needed road trip to the Tallgrass Prairie in Kansas was taken. Wilson, my colleague and shooting partner, joined me for a few days in the Flint Hills, where we made Cottonwood Falls our base of operation. Specifically, we stayed at an eclectic little stone motel called the Millstream Resort Motel, overlooking the Cottonwood River. Our timing for the trip was great, as we had clear skies and no snow storms until after we returned! 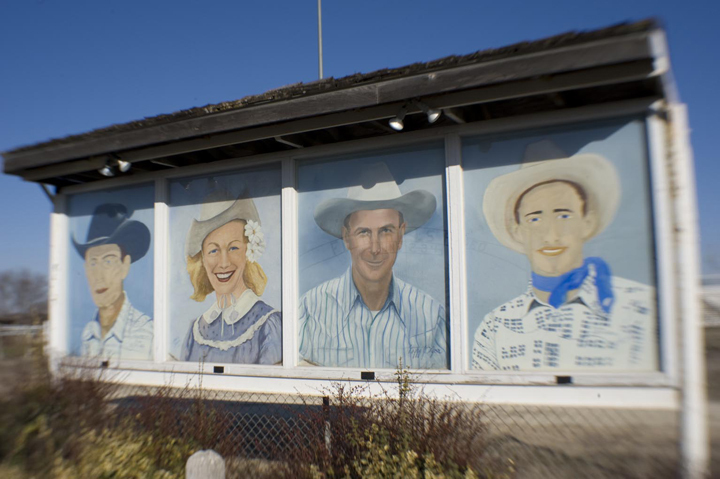 I had recently read Jim Hoy’s (director of the Center for Great Plains Studies) book, Flint Hills Cowboys: Tales from the Tallgrass Prairie, so many of the small towns he mentioned became our venues for imaging making. 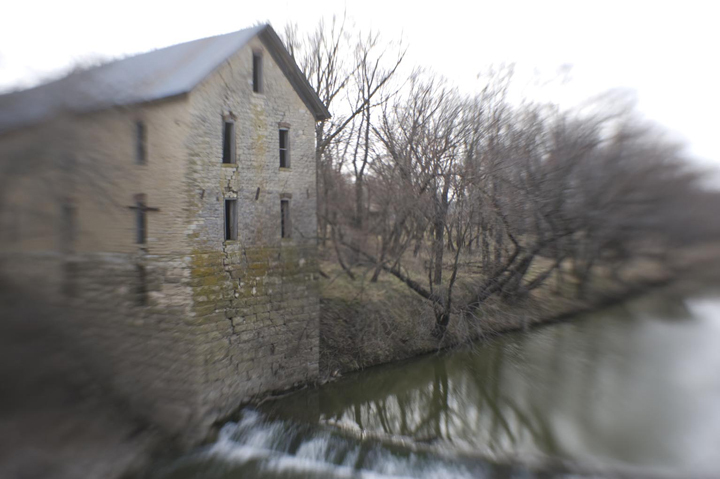 Plus, after talking with a local gravedigger, we found other exciting places to visit, such as living ghost towns, abandoned farmsteads, octogenarian speedsters, and an idle gristmill from the 19th century. 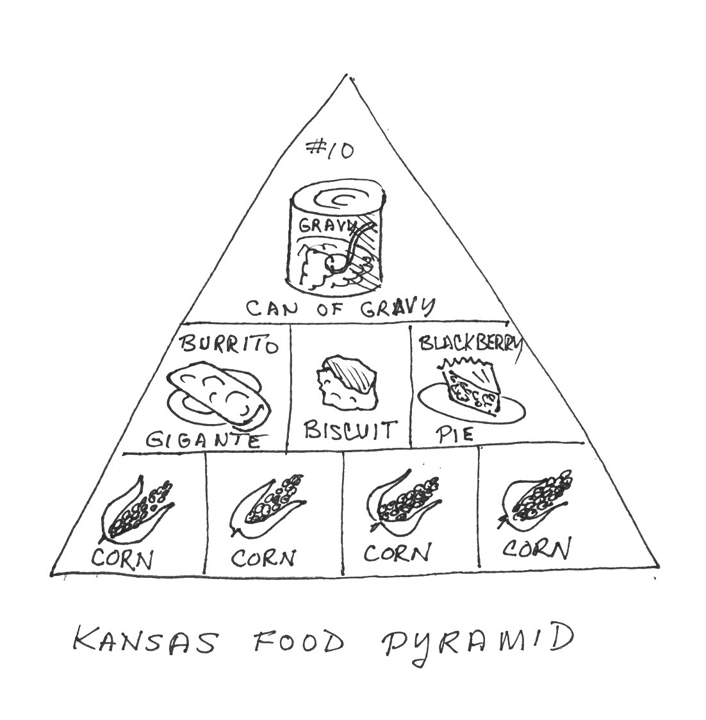 In keeping with Hunter Neal’s classic rendition of the Kansas Food Pyramid (see drawing diagram below), I had to continue my quest of sampling biscuits and gravy at the local cafes. We also were introduced to a new culinary delight known as bierocks, at Dave’s Place on the edge of Strong City. 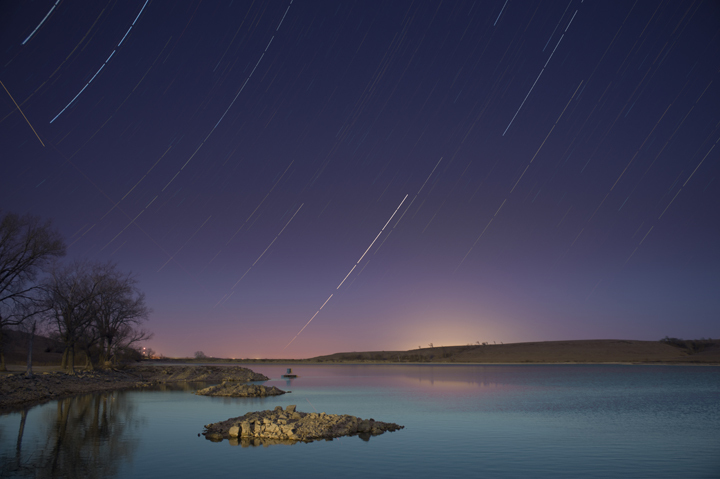 We managed to photograph star trails two nights at the Chase County State Lake, which is just south of the Tallgrass Prairie National Preserve. Clear, crisp nights with a half-moon made for some interesting shots. Wilson did manage to have frost develop on his lens while the temps dropped and we enjoyed a variety of ales. Moose Drool Brown Ale by Big Sky Brewing and Single-Wide IPA by Boulevard proved to be favorites! 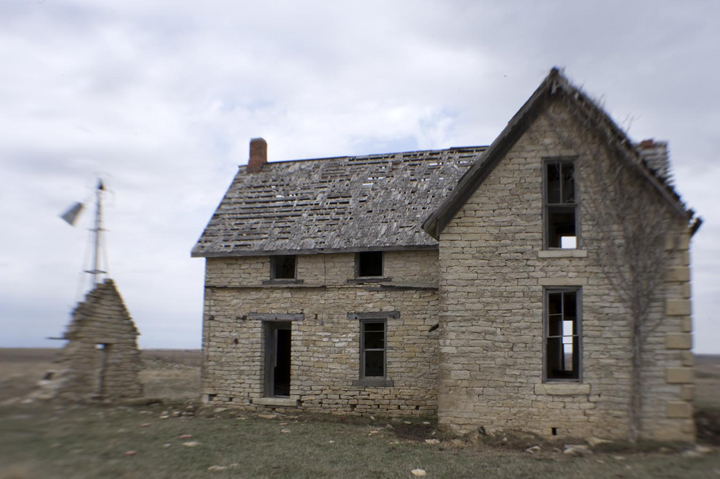 As I continue my creative research in the Flint Hills, this trip allowed me to pursue my multimedia interests with digital still photography. Here, I’m exploring the visual dimensions coupled with ambient or natural audio. New photographic toys under investigation were my new Lensbaby Composer Pro with Sweet 35 (35mm modern-day scioptic lens), Tascam DR-07MKII digital audio recorder, and a new lightweight carbon-fiber tripod by Induro (CT-214). Here’s some images from the trip…enjoy! 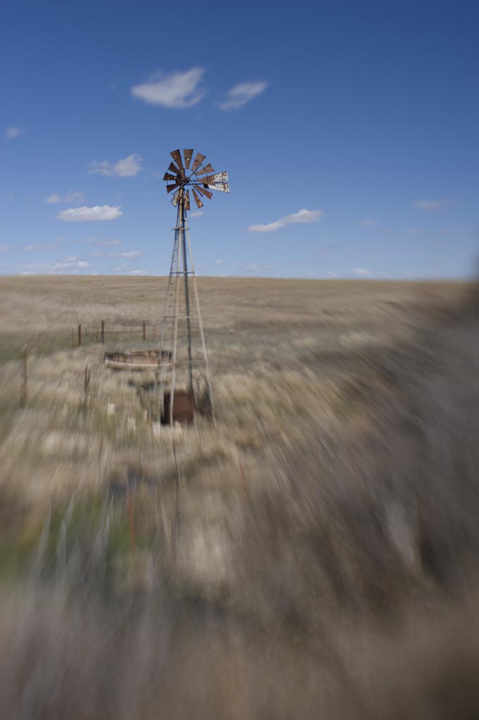 Windmill near Chase County State Lake, Cottonwood, Kansas. © Terry Ownby. Forgotten swings at the Lower Fox Creek Schoolhouse near Spring Hill Ranch in the Tall Grass Prairie National Preserve, sway in during strong prairie winds on our recent visit.To see animation, click on image. © Terry Ownby. After a few days of cabin fever brought on by a major snowstorm and several inches of the white stuff, Wilson and I headed north to the Confederate Memorial State Historic Site, just outside of Higginsville, Missouri. 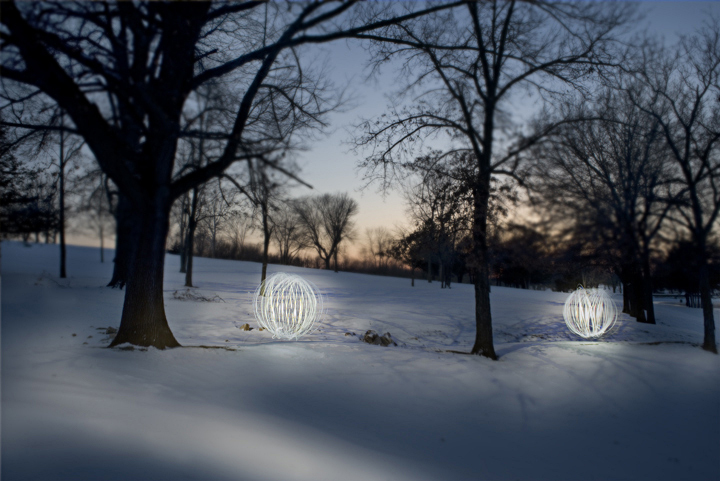 The evening was perfect for tracking down those elusive light orbs and we wondered how they would appear against and snowy backdrop under a full moon. Crisp temperatures at 27oF (-2.7oC) and deep snow provided the perfect cooler for a couple of brewskies. Simply insert beer bottle into deep snow, wait about 15 minutes and enjoy a truly ice-cold refreshing beverage! Hmm…sorry for getting side-tracked. Back to our scientific and creative endeavors! We did discover that EL Wire (aka electro-luminescent wire) did not function properly at these colder temperatures. Also, those nice colored light orbs we encountered earlier in the season are extremely hard to detect under a full moon and reflective snow cover. The only orbs to significantly manifest themselves were the white ones, and that was still hard to record, being white against white. 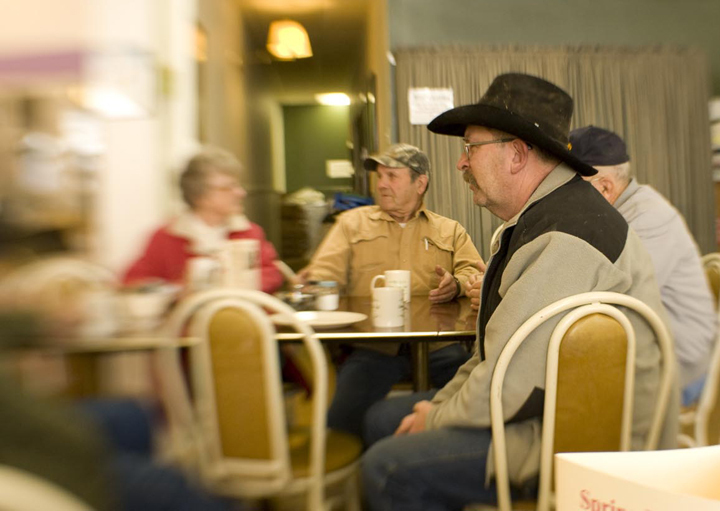 So, after several attempts to capture the elusive winter snow orbs and listening to a cacophony of geese, we back up and headed in to Higginsville and enjoyed a nice Tex-Mex supper at the La Carreta cantina located on the main drag of old downtown. Excellent way to spend a few hours in the dead of winter! So last night we broke our routine, instead of a Friday night photo shoot we did an impromptu trip to Pape Lake to watch the Geminid meteor shower, while photographing star trails. With the temperature dipping to 34oF (1oC) and the lack of ambient moonlight (it was a New Moon), we could plainly see the immensity of the Milky Way, satellites, hundreds of aircraft moving along their flight paths. On our eastern horizon we could easily see Pleiades or the Seven Sisters, Jupiter was in the midst of Taurus, and the star Capella was visible in the left of my viewfinder. Several meteors appeared, mostly coming from a northerly direction towards the south. One particular meteor put on a spectacular display as it incandesced blue-green with a huge orange tail that was trailing debris as it rocketed low across our northern horizon. Below are two efforts from my evening’s night photography. First I targeted the eastern horizon from a portion of the dried lakeshore (due to the severe drought this past summer). The shoreline is clearly visible and serendipitously, Wilson wandered into the field between my camera and the wooded background to perform his light orb dance. Eventually I changed to a southerly position next to Robert in order to show the reflections in Pape Lake and the glow of distant urban areas far in the background. I find it interesting how the manufactured glow of urban lights affects the white balance during digital shooting like this. I particularly enjoy the rich amber glow that gradates across the sky and its reflection into the still lake. Although the wind was still, the duck and geese decoys anchored neared the shore gently moved during my long exposures, creating interesting ghost effects on the water’s surface. Capella, Pleaides, Jupiter, and Taurus above Pape Lake, Concordia Missouri. Looking South, Pape Lake, Concordia, Missouri.